At least five people have been killed in a missile strike on a Medecins Sans Frontieres medical facility in Yemen. The organization “strongly condemns this,” while adding that 10 people have been injured in the attack. “We can confirm five dead people; we have transferred several injured to our other hospital in Sanaa, some of them are in critical condition,” MSF director of operations Raquel Ayora told RT. "The hospital is no longer functioning. It's been decreasing its services to the civilian population over the last months, only running life-saving and essential services. And right now there is no capacity to provide medical assistance in this hospital," she added. The facility, which was hit by a rocket on Sunday, is in Razeh in the north of the country. In a statement on Twitter, Medecins Sans Frontieres (MSF) say they, "strongly condemn this and we reiterate to all parties to the conflict that patients & medical facilities must be respected." "We haven't received ... any feedback [so far] from any of our contacts in the different lines of command, so we can not confirm if any investigation has been launched," the MSF official told RT. “All the warring parties, including the Saudi-led coalition, are regularly informed of the GPS coordinates of the medical sites where MSF works and we are in constant dialogue with them to ensure that they understand the severity of the humanitarian consequences of the conflict and the need to respect the provision of medical services,” said Raquel Ayora, MSF’s Director of Operations. MSF pointed out on their Twitter feed that this is the third severe incident the organization has had to deal with in the last three months. “Our teams struggle on a daily basis to ensure the respect of health facilities,” the group stated. In October 2015, MSF said a Saudi-led coalition airstrike hit a Yemeni hospital with patients and staff inside. "We don't know if it was a targeted situation or a mistake. Hospitals in the area provide essential services to [a] population that is suffering enormously from the consequences of this conflict... We are in contact with all the [fighting] parties and it's really difficult to explain how it [attacks on hospitals] can happen. It's [become] a trend, it's happening more and more in the last few months, and delivering essential medical assistance in Yemen and some other countries is becoming almost impossible," Ayora told RT. Laurent Sury, MSF’s emergency coordinator said the medical facility was targeted six times by airstrikes, even though coalition forces had coordinates of the hospital. The hospital was completely destroyed, and several people were injured. 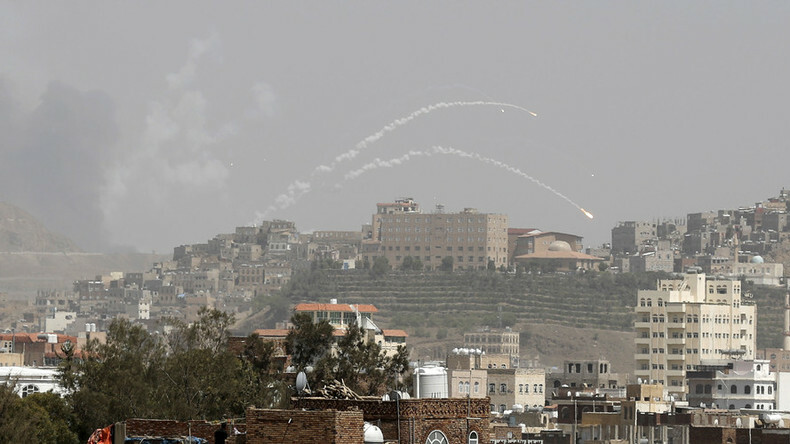 The Saudi-led coalition launched its anti-Houthi campaign in March 2015, after the anti-government rebels started capturing large parts of Yemen, including the capital Saana, and the country’s second-largest city, the port of Aden. On January 5, the UN Security Council urged the warring parties in Yemen to participate in another round of peace talks this month and "expressed deep concern regarding the dire humanitarian situation in Yemen which continues to worsen." The organization says more than 21 million people in Yemen need help, or about 80 percent of the population. More than 5,800 people have been killed in Yemen since March, about half of them civilians, according to the UN, as cited by AFP.